Such studies of organ structure can be done not only on current species, but also on species that are no longer alive. How do we know that these extinct species ever existed? 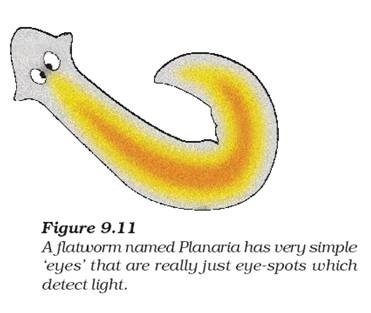 We know this from finding fossils (Fig. 9.10). 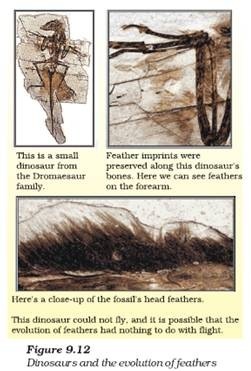 What are fossils? Usually, when organisms die, their bodies will decompose and be lost. But every once in a while, the body or at least some parts may be in an environment that does not let it decompose completely. If a dead insect gets caught in hot mud, for example, it will not decompose quickly, and the mud will eventually harden and retain the impression of the body parts of the insect. 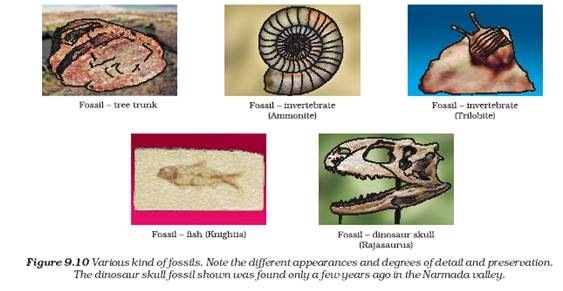 All such preserved traces of living organisms are called fossils.